Refrigerators are one of the most popular and important appliances we own in our house. It keeps our food cold and without it, especially in the summer, we’re left with food that will become rotten or stale. Our drinks will become warm and our beer lovers will be left sipping warm suds. This is not a good thing. 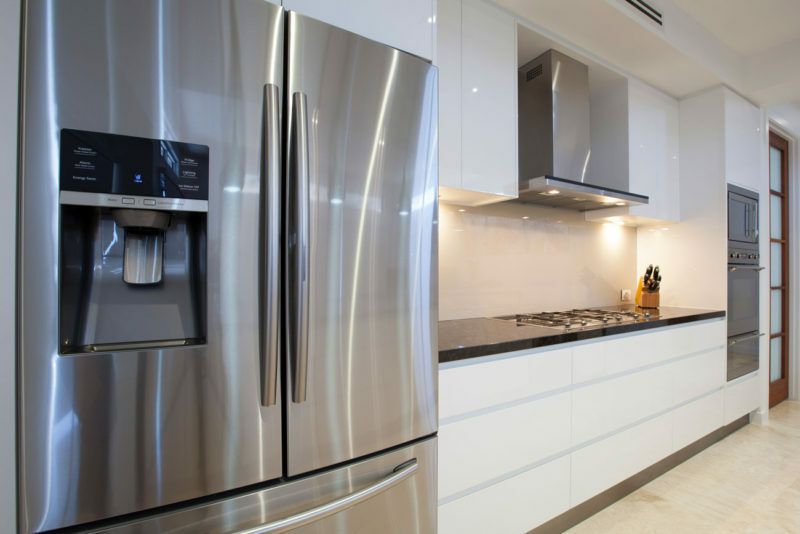 There are a number of different refrigerator configurations available: Top-Mount, Bottom-Mount, French-Door, and Side-by-Side. The Top-Mount name refers to where the freezer is located. In this case the freezer is located on the top of the unit. In the Bottom-Mount unit, the freezer is on the bottom. The side-by-side refrigerator is the most popular in Boise. The freezer is usually located on the left hand side of the unit. The French-Door refrigerator is a combination of the Top-Mount and the Side-by-Side. The refrigerator will be on top with two swinging doors and the freezer will be on the bottom, usually a pull-out drawer. Why the emphasis on where the freezer is located? This is because the cool air in the refrigerator comes from the freezer via an evaporator fan. The freezer is the “main” cooling unit which houses the evaporator and evaporator fan- motor to supply freezing air for the freezer and cool air to the refrigerator. So, what kind of repairs do make on refrigerators in Boise? Well, here’s a few things we end up replacing – condenser fan motors, evaporator fan motors, blades, thermostats, compressors, control-boards, broken dispenser arms, ice-makers, damper doors, interface boards, bi-metals, and the list goes on. We do see a certain “set” of parts that may go wrong that coincide with the different refrigerator brands. Maytag may have ADC or fan motors go bad while GE may have Control or Heaters go bad. Frigidaire also has a separate list of parts that may need replacing at least once in their lifetime. So, if you, as a customer, want experience and dependability, not to mention “a job done right”, you’ve come to the right place.